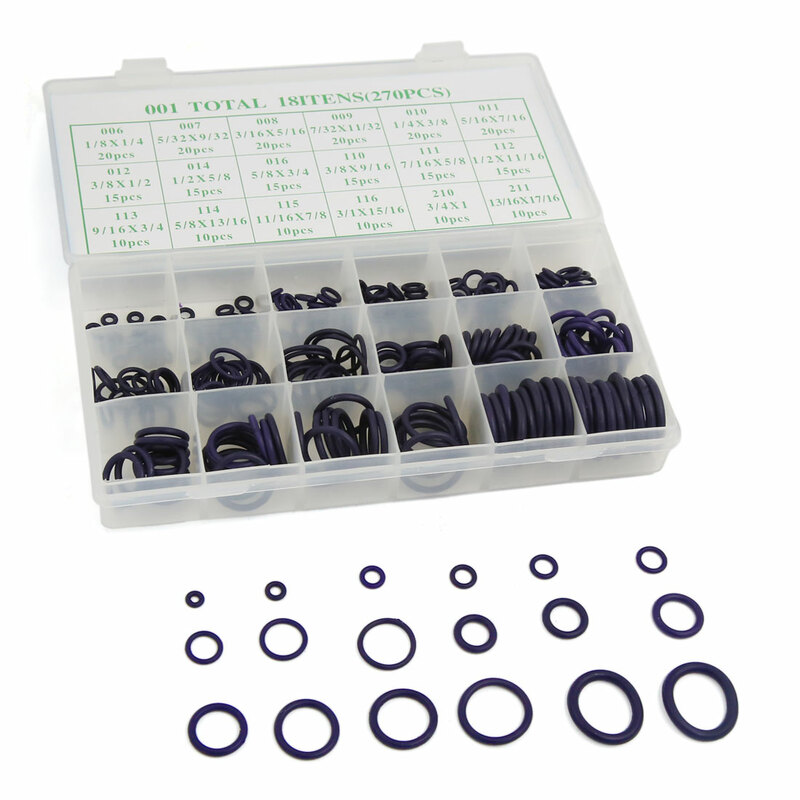 Total 18 most popular used O-ring sizes. Hydrogenated Nitrile Butadiene Rubber (HNBR), also known as Highly Saturated Nitrile (HSN) is special class of nitrile rubber (NBR) and is for mission critical applications. HNBR can be formulated to meet application temperatures ranging between -45 degrees C and 165 degrees C, and HNBR is classified by ASTM as DH-type polymer. The HNBE O Ring can be bear the impact, bear the (F12, R123a), bear the oil, and watertightness, defendtheultravioletray, bear the corrosion.